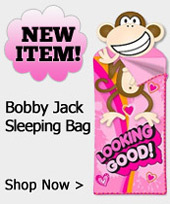 The online Bedding Store for Kids and Sports Decor Accents. Ann's Children's Personalized Books More than 100 personalized books and unique gifts for kids and adults including personalized clocks and stickers with your name on them. Free Shipping on all orders. Personalized books for children to help promote early reading. Many types available: Spanish, classic, baby book, religious titles, discounted books, personalized letters and more. Providing arts and crafts kits and projects, childrens books and videos, kids toys and software for preschool to elementary school age children. A good source for educational supplies and resources. Specializes in early education teaching supplies and resources for parents, educators and homeschoolers.